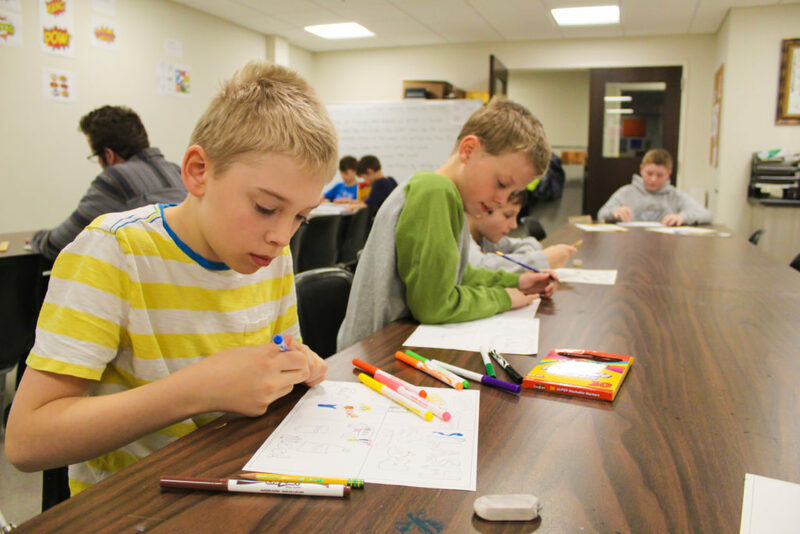 THELMA’s Comic Book Camp is coming to THELMA this Summer! One week of creating exciting characters, action poses, fun narratives and more! Register now! Create your very own comic book that tells a unique story. In this entertaining camp, students will dive into the details of developing characters, writing dialogue and creating a basic story line for a comic book. We will employ techniques from professional cartoonists including layout, penciling, inking, and lettering to create a 4-6 page comic book from beginning to end. All materials are provided. Class size is limited. 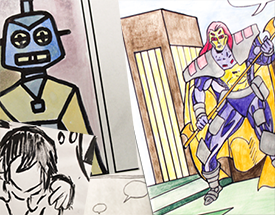 This camp is for ages 7 – 18 and students will make a finished comic book home at the end of this one week adventure. Call 920.921.5410 to register or click HERE to register online.